•	Prevents ingrown hairs from developing and soothes shaving rash. •	Contains natural fruit acids to soothe irritated skin after hair removal. •	Suitable for all areas of the body. •	Use as required to calm red, itchy and sensitive skin symptoms that can occur after hair removal. We may be using it wrong? I bought this a while back when looking for the same brand new of medipaste. Looking at the ingredients it's very similar, but it's in a spray bottle which has to be shaken vigorously before use. I've been using this as a sort of antibacterial spray after waxing or epilation in an effort to reduce ingrown hairs but can't really say whether it works- do I get only 1 or 2 because it's good, or should I be getting none at all. On a spot that got hammered with the wax, it does sting briefly. We aren't rating this very highly but in defence of the serum, the instructions say that it should be used wherever you remove hair, using words which imply that it should be used more often than just after hair removal. If it's truly the presence of bacteria that starts the ingrown on it's journey then keeping the area clean should be part of the daily routine. But who remembers to use it everyday? Not me. I'd rather treat the ingrown as it arrives and the medipaste product is very good for that. I used this for a couple of years once I started getting brazilian waxes. Recommended to me from the pharmacy . Love that it is spray form for easy application. Doesn't really have a smell, no stingy feelings. However doesn't really work for me. I used to get the worse ingrown hairs and bumps which renders this product useless to me. Have since replaced with a product that my wax lady recommended and have had no problems since. I used to used this product recommended by a previous beauty therapist however found it did nothing for my ingrown hairs. It doesn't have a nice smell which smells like alcohol and can be stingy and drys me out. Wouldn't recommend using at all. My beauty therapist recommended that I use this serum, so after getting my first ever Brazilian wax, I bought a bottle of this. 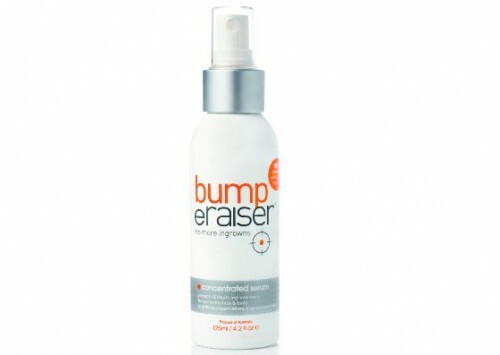 Now, I was told not to use it the day of waxing (as the skin would be very sensitive), but since I’ve being having my maintenance waxes done regularly for over a year, I have used this serum on the day of waxing, after showering that evening, and it definitely helps to calm down the initial waxing irritation. I was also told that for best results, the serum has to be used every night for a week, beginning the day of or the day after waxing, and I can say that this serum definitely works. There has been the odd month where I’ve forgotten to use the serum and the number of ingrown hairs I’ve had has definitely doubled on those months. The serum is not a single use miracle product that will erase all ingrowns immediately, it still needs a little help in the form of exfoliation every 2 to 3 days, as well as applying the serum. This serum works so well that my hubby has been using it as an after-shaving serum, as he used to get terrible ingrown hairs on his neck from shaving. Since using the serum, he only gets the odd ingrown every now and then. We both swear by the serum for preventing ingrown hairs, and will definitely be buying more, and would recommend it. Tips: This is not a once-off use product. It does need to be used every day for a week to prevent ingrown hairs after waxing, and you do need to exfoliate every 2 to 3 days, as well. So it says it's a no sting formula - no, it stings alright! I got this in one of the vaults in the hope it would help with my insane amount of ingrowns... It doesn't.. It does calm shaving rash down. The rash went away a fair bit quicker than if I put nothing on it. I don't particularly like the smell - it's kind of chemical.